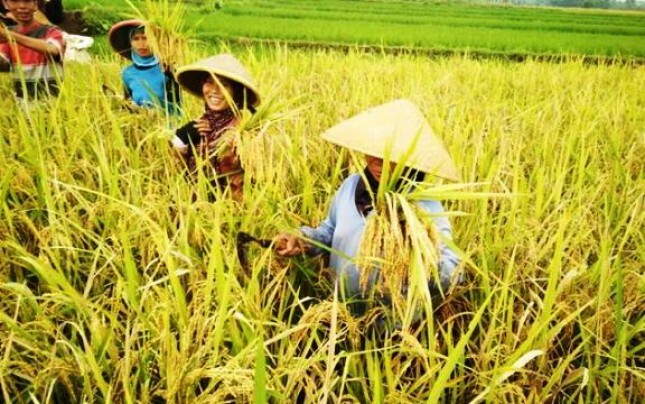 INDUSTRY.co.id - Jakarta - The government is preparing a scheme for the distribution of People's Business Credit (KUR) to encourage the revitalization of milling and drying of rice so that the quality of harvests produced by farmers can be more optimal. "The small mill is a lot and 'over capacity' is expected to facilitate the drying of the dryer," said Coordinating Minister for Economic Affairs Darmin Nasution after chairing a coordination meeting on KUR distribution in Jakarta on Wednesday (11/4/2018). Darmin said that KUR disbursement discourse arises because as much as 95 percent of small rice mills currently do not have a dryer so the quality of the crop is not well maintained. He added that there are three parties that get direct benefits from the provision of this KUR namely farmers, communities and Bulog. First, farmers will be helped because the grain can be dried in small mills close to the community, despite the rainy season. Secondly, the community can consume more quality rice as it passes a process that already meets the standards. In addition, thirdly, Bulog also benefits from getting a better source of rice or grain supply and better quality. "This credit helps the mill to have a dryer," we help the ones who do not," Darmin said. Currently, Darmin added that the Government Bank Association (HIMBARA) consisting of Bank Mandiri, Bank BNI, and Bank BRI is finalizing the calculation and distribution scheme of this KUR. "The regulation is expected to be not rigid, and not rigid, we fix what is and what is lacking," he said. On the same occasion, the Chairman of the Association of Rice Millers and Rice Entrepreneurs Indonesia (PERPADI) Sutarto Alimoeso said that small farmers became the main focus in the distribution of this KUR. "A day of small milling, grinding rice of 10 tons to 12 tons, they are difficult, usually not 'feasible', the market is unclear and not 'bankable' this is the problem," he said. Based on data, out of a total of 182,000 rice mills in Indonesia, 94 percent or approximately 172,000 rice mills in Indonesia are small mills.